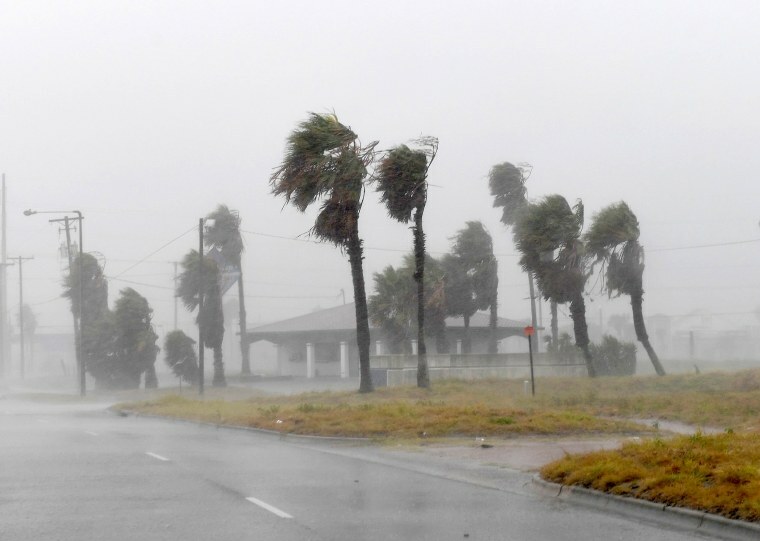 Hurricane Harvey downgraded to a tropical storm after making landfall in Texas causes flooding and destruction. 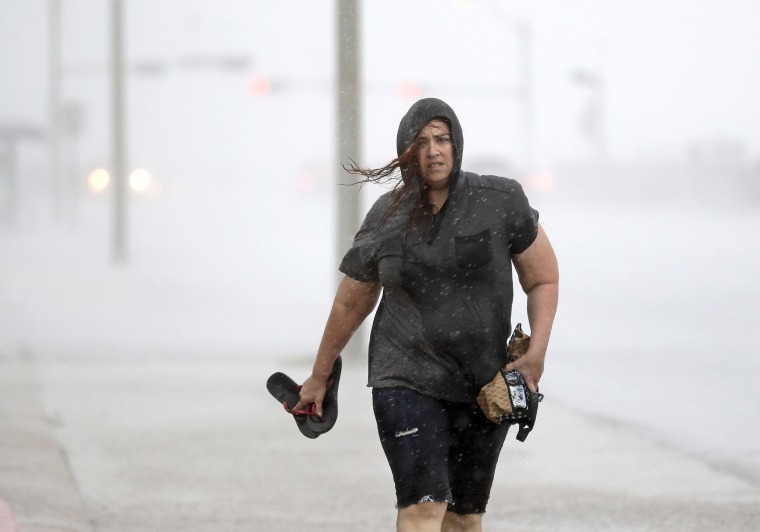 Hillary Lebeb walks along the seawall in Galveston as Hurricane Harvey intensifies in the Gulf of Mexico on August 25. Harvey made landfall late Friday as a Category 4 and has since been downgraded to a tropical storm with potential for inundating rain which may cause catastrophic flooding. Strong winds batter a house on Padre Island before Hurricane Harvey makes landfall in Corpus Christi. 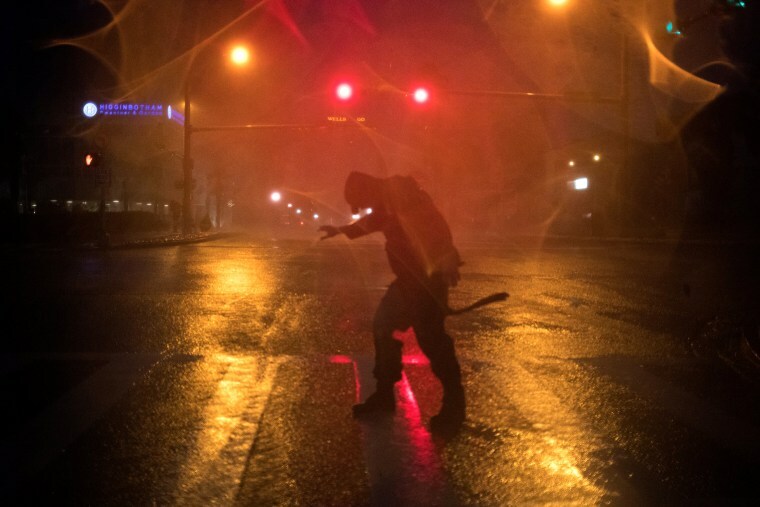 Stewart Adams, of San Marcos, Texas, plays in the winds from Hurricane Harvey in Corpus Christi. 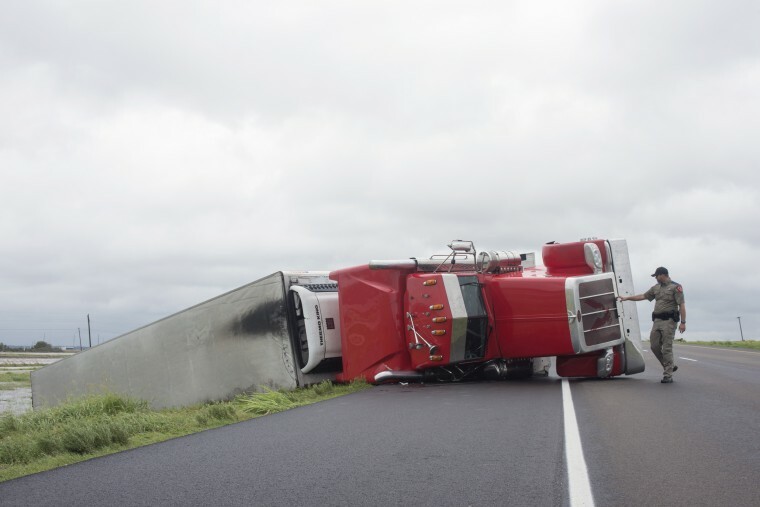 Police respond to a truck overturned during Hurricane Harvey in El Toro. 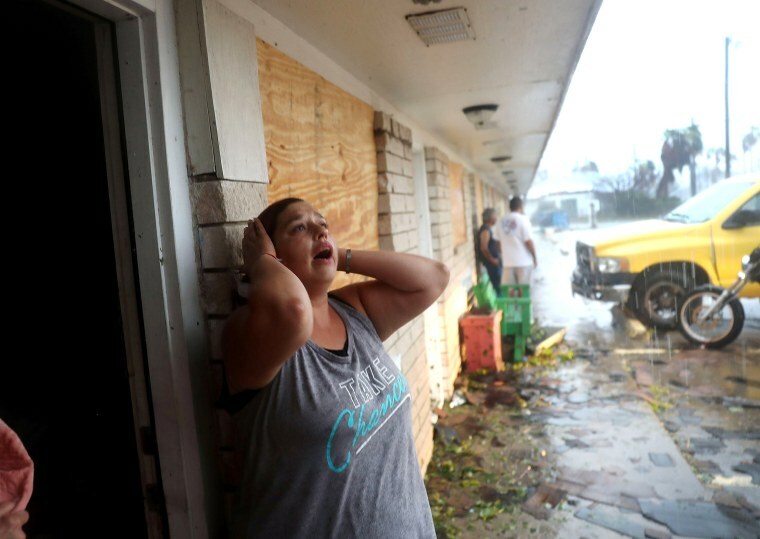 Daisy Graham reacts to the news that a friend of hers may still be in an apartment that was destroyed on August 26 in Rockport. The friends were found alive, but still hiding in the shower stall after the homes roof was blown off and walls blown in by the high winds. 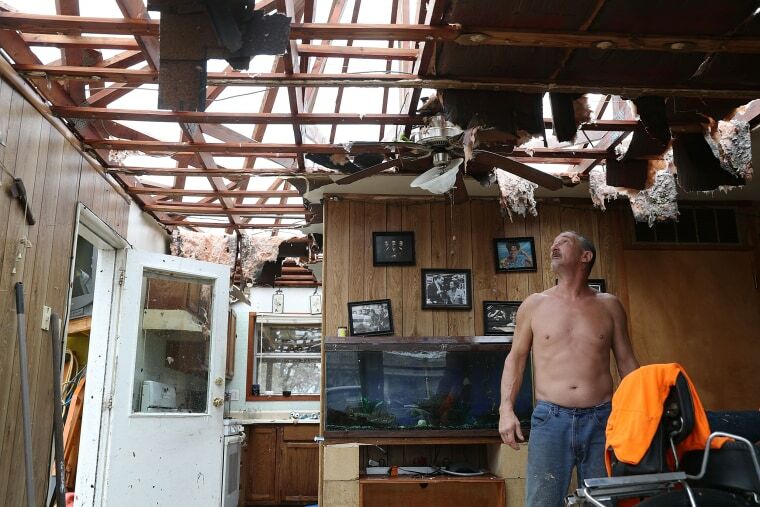 Aaron Tobias who said he lost everything stands in what is left of his home after Hurricane Harvey blew in and destroyed most of the house in Rockport. Tobias said he was able to get his wife and kids out before the storm arrived but he stayed there and rode it out. 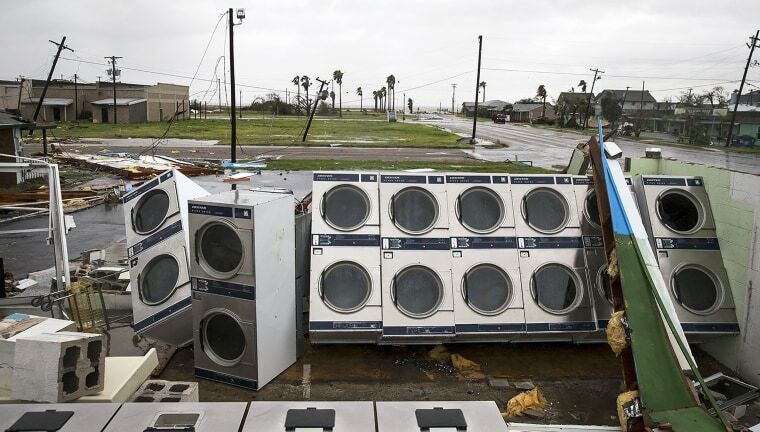 A laundromat's machines lie exposed in the elements after Hurricane Harvey ripped through Rockport. Terry Smith stands in the apartment that had its ceiling collapse when Hurricane Harvey hit in Rockport. Smith said she has never been as terrified in her life as when the winds started roaring through town. 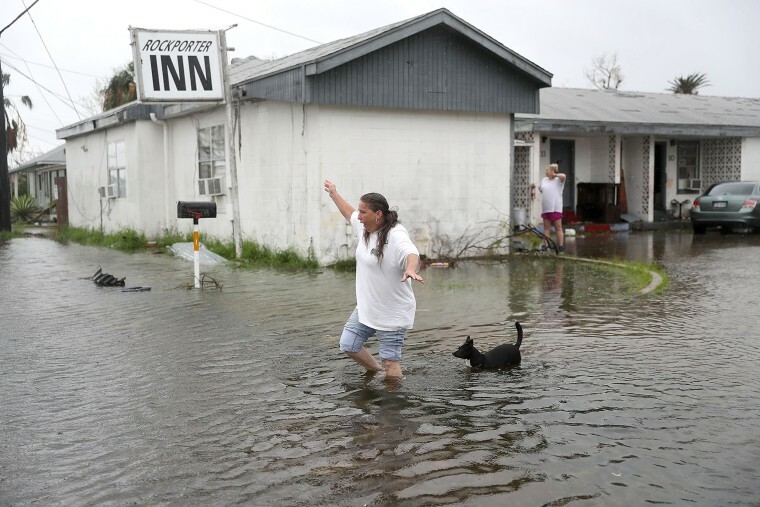 Valerie Brown walks through a flooded area after leaving an apartment in Rockport. 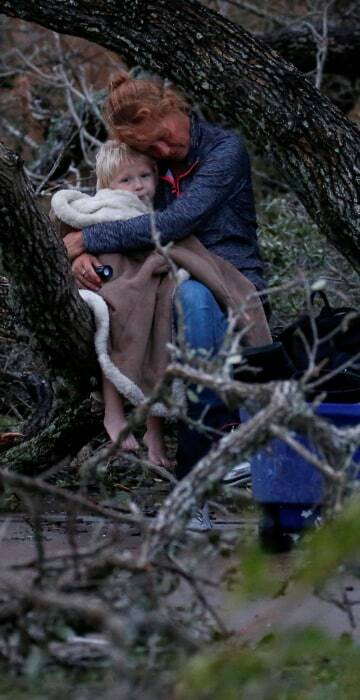 Lisa Rehr holds her four-year old son Maximus, as they await to be evacuated with their belongings after they lost their home from Rockport. 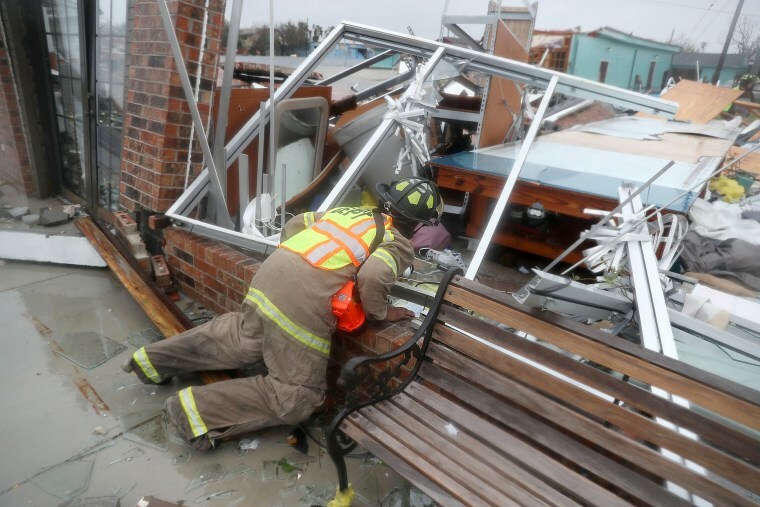 Rescue workers search for survivors in a damaged structure in Rockport. 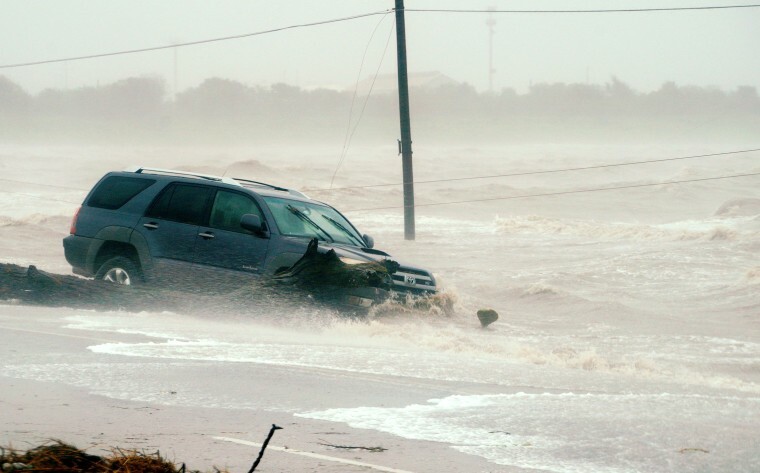 A car is surrounded by floodwaters in Point Comfort. 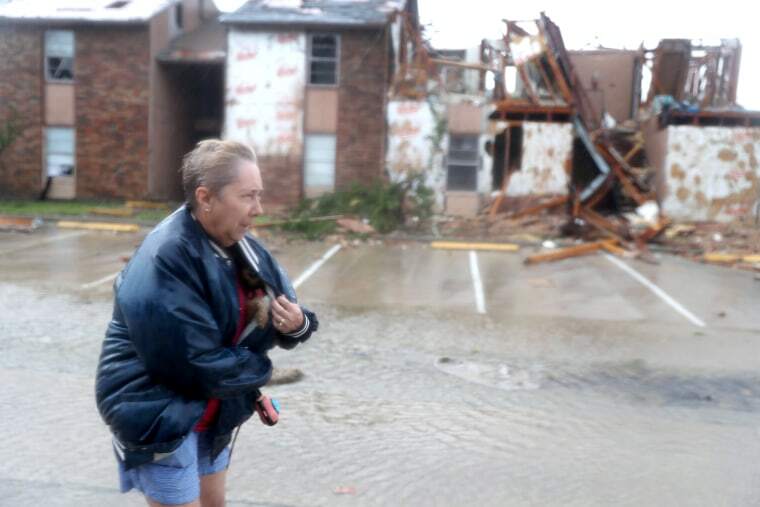 Jacque McKay walks through the apartment complex where she lives with her dog in Rockport. 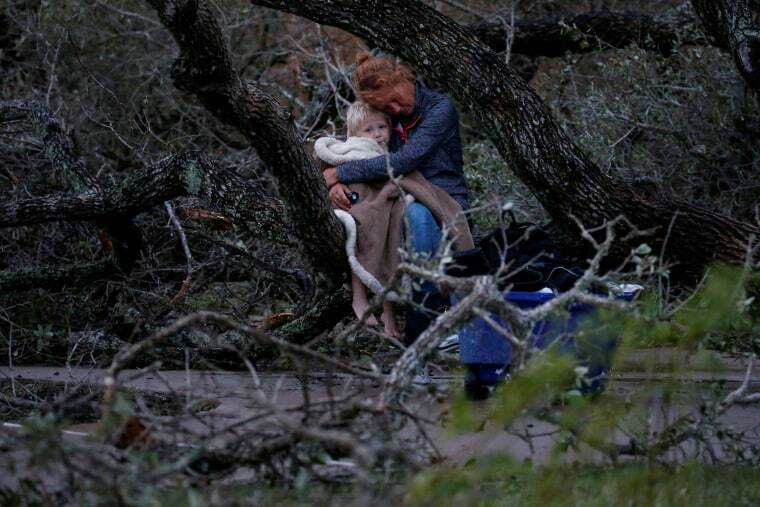 McKay said she was able to rescue her dog but lost pretty much everything else. 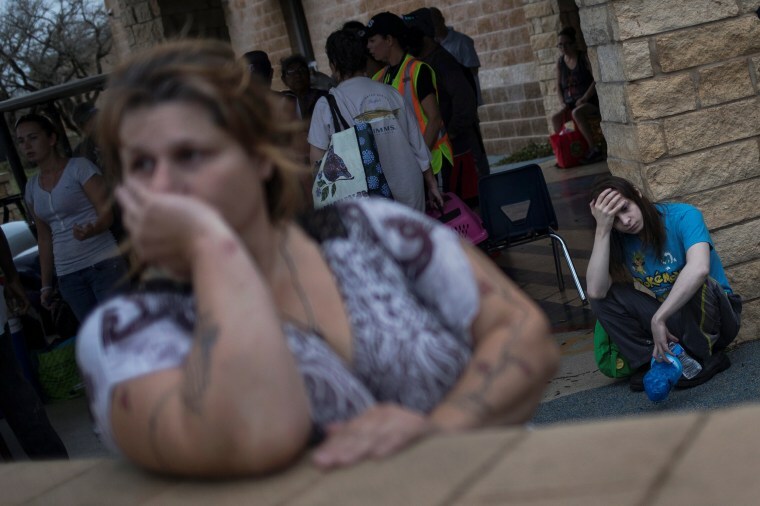 Melanie Starnauld and her 19-year-old son Mathew, who lost their home to Hurricane Harvey, wait to be evacuated from Rockport. A driver moves through floodwaters in Aransas Pass. 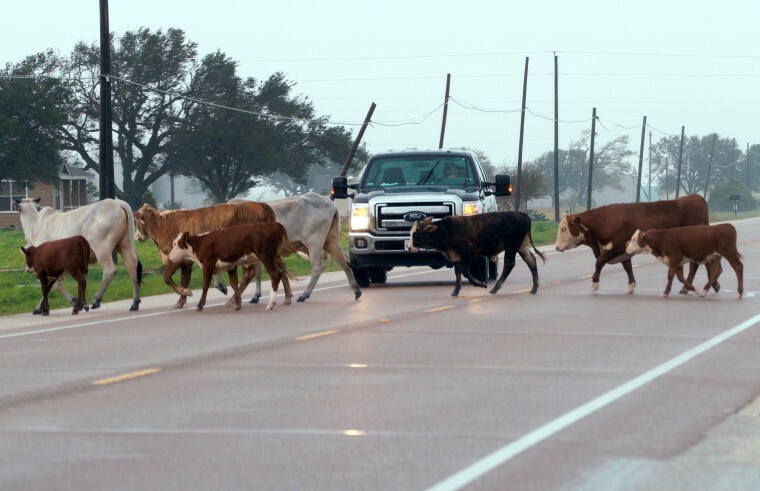 A herd of cows which escaped from fencing damaged by Hurricane Harvey block a highway near Port Lavaca. 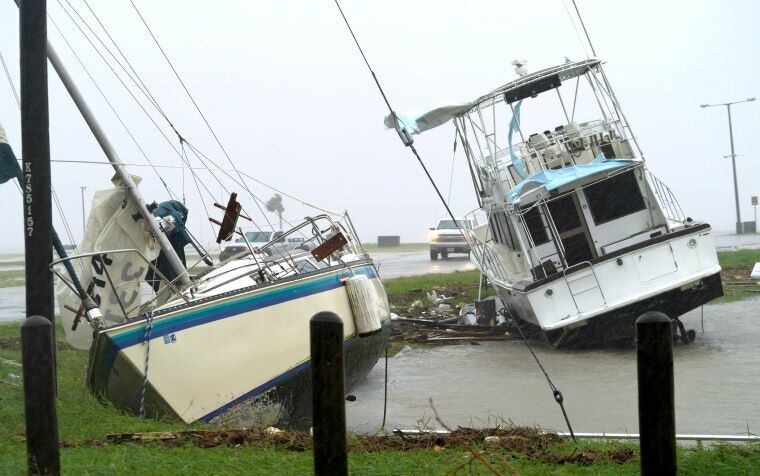 Boats pushed ashore by Hurricane Harvey in Port Lavaca. 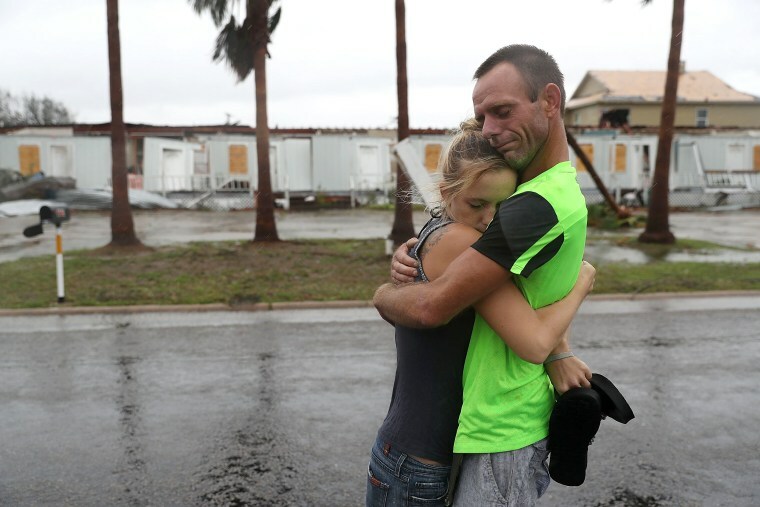 Jessica Campbell hugs Jonathan Fitzgerald after riding out Hurricane Harvey in an apartment in Rockport. 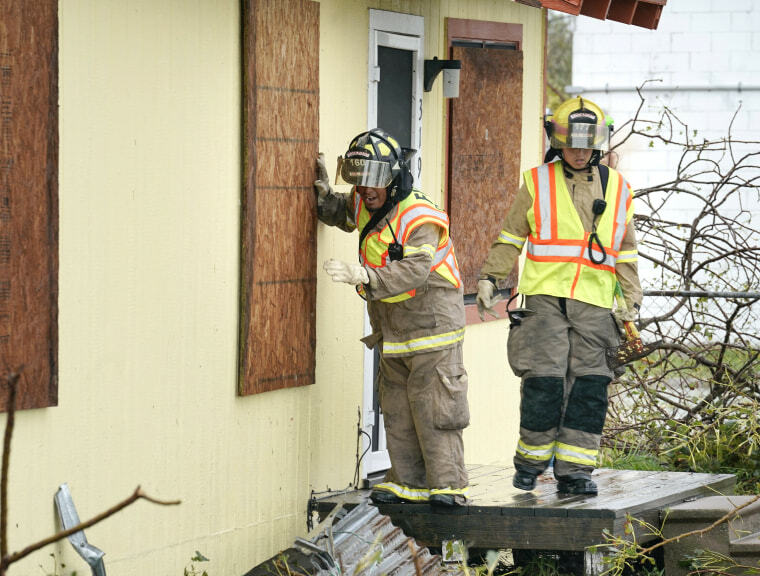 A Rockport firefighter goes door to door on a search and rescue mission as he looks for people that need help in Rockport. 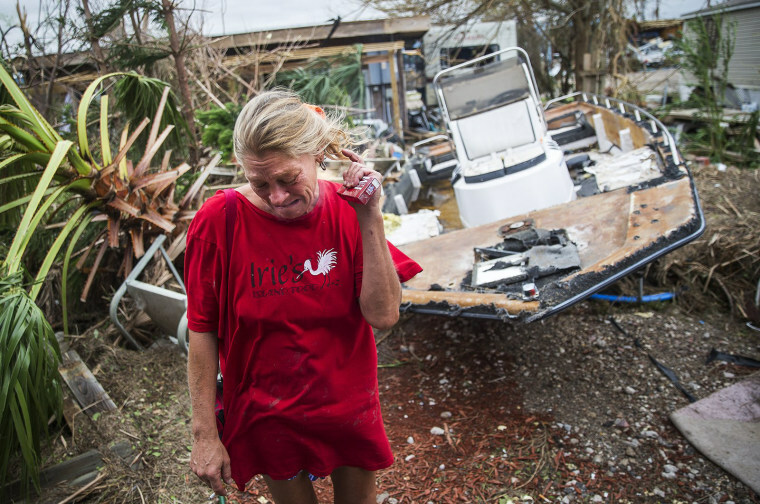 Emily Zurawski cries while inspecting her home in Port Aransas. 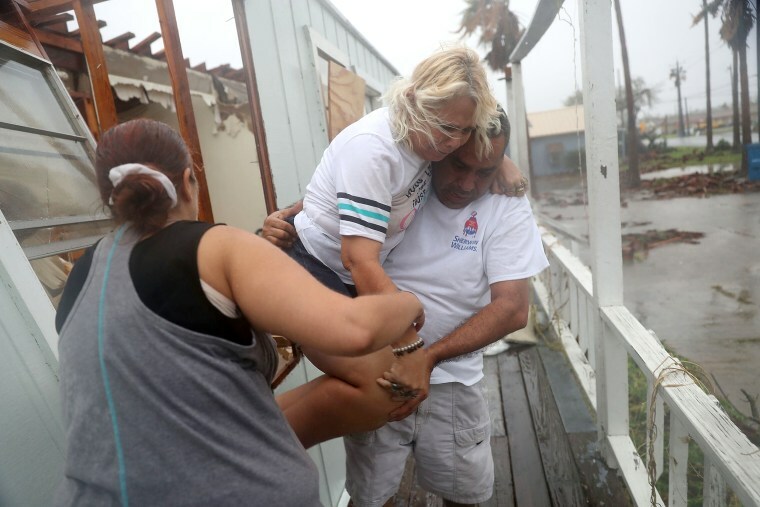 Donna Raney is helped out of the window by Lee Guerrero and Daisy Graham after Hurricane Harvey destroyed her apartment in Rockport. 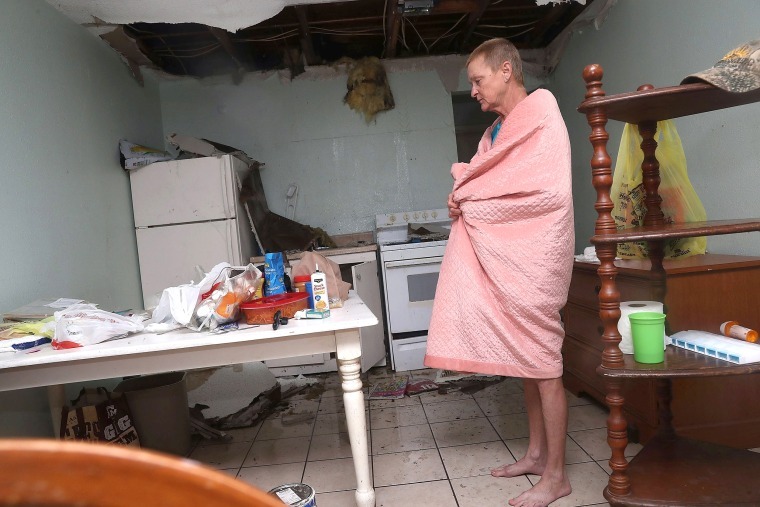 Donna was hiding in the shower after the roof blew off and the walls of her home caved in by the winds of Hurricane Harvey. 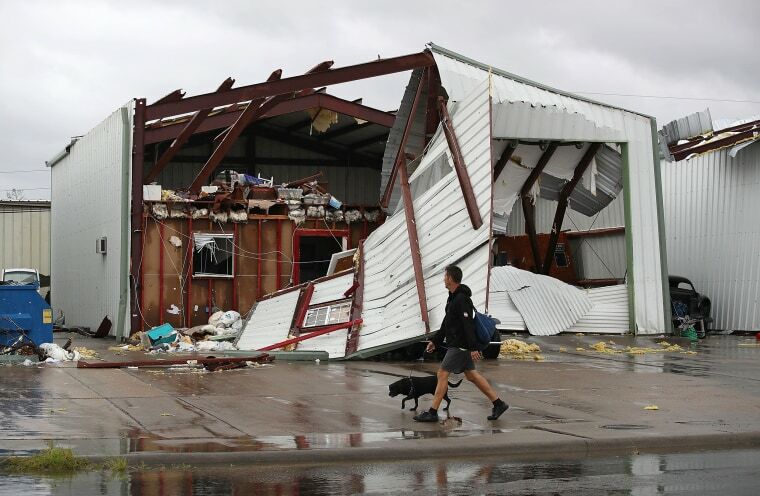 A man walks his dog past a damaged building in Rockport. 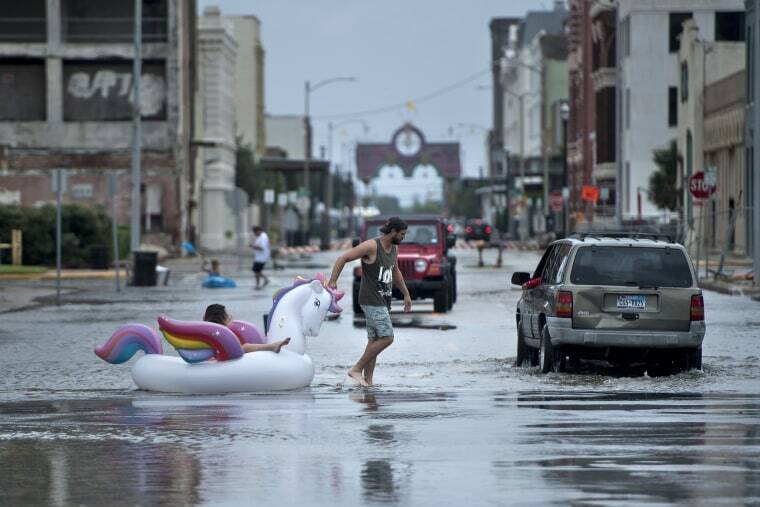 People make their way down partially flooded roads in Galveston.